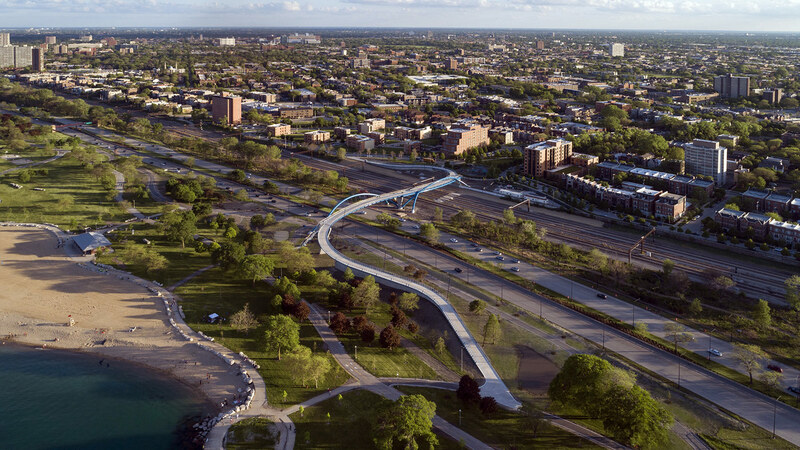 Cordogan Clark & Associates' designs for the 41st and 43rd Street Pedestrian Bridges won an international design competition held by the City of Chicago. They feature double-curved arch mono trusses to form large, graceful S-curves. 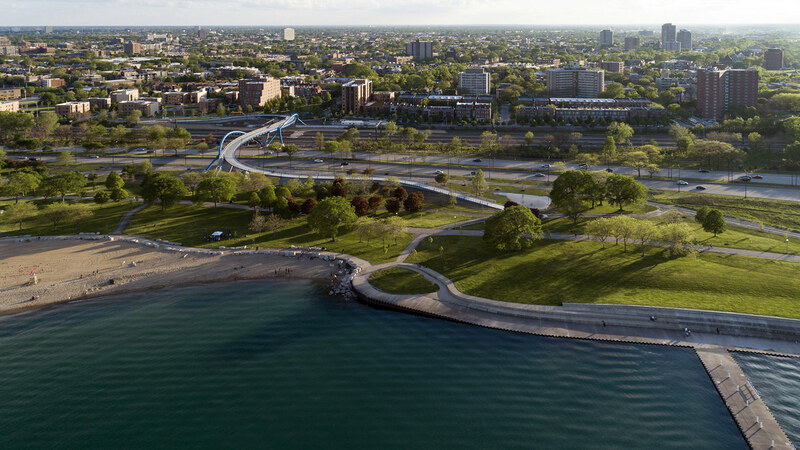 The leisurely curves of the bridges recall Olmsted's original walkways for the Chicago Parks, while extending this park aesthetic westward over Lake Shore Drive. 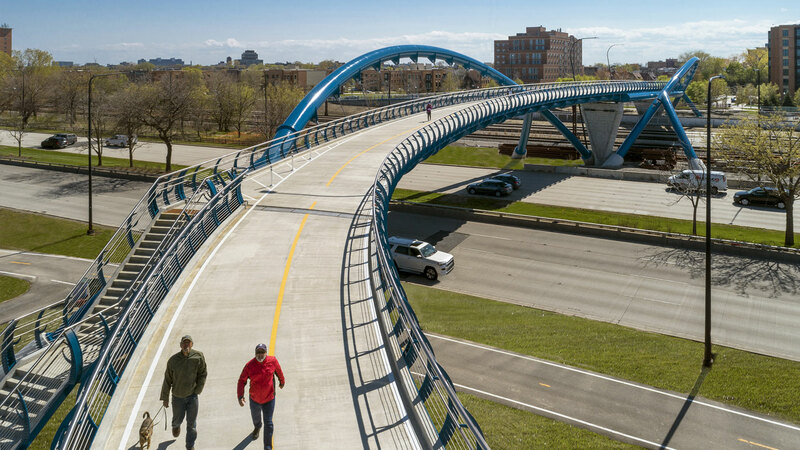 The horizontal and vertical curves of the bridges create a graceful urban promenade that is visually dynamic from any approach. 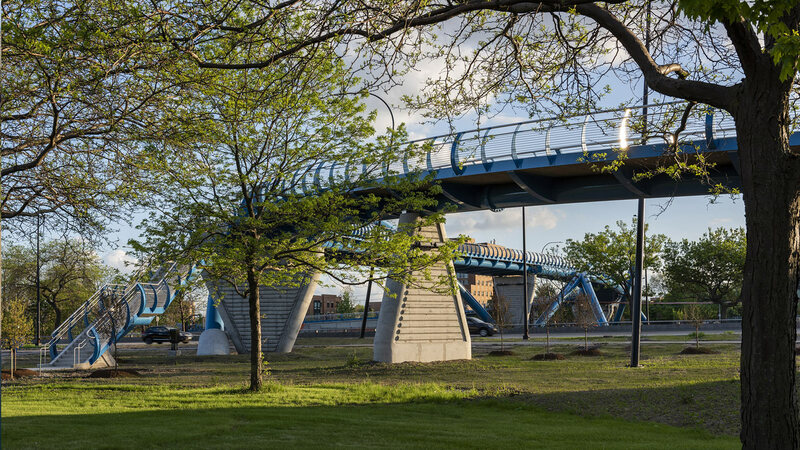 The sleek, dynamic forms of the pedestrian bridges continue Chicago's tradition of structural expressiveness. The double curvature adds structural rigidity and wind resistance while having a simple profile with minimal detailing. Slender and elegant arches provide the structure for a curving deck that widens midspan and projects outwards to form grand balconies. The bridges glide gently to a rest in the park by ramps supported on tapering rustic prairie-stone. Energy-efficient lighting parallel to the surface of the deck provides continuous, low-glare illumination along the entire span of the bridges. 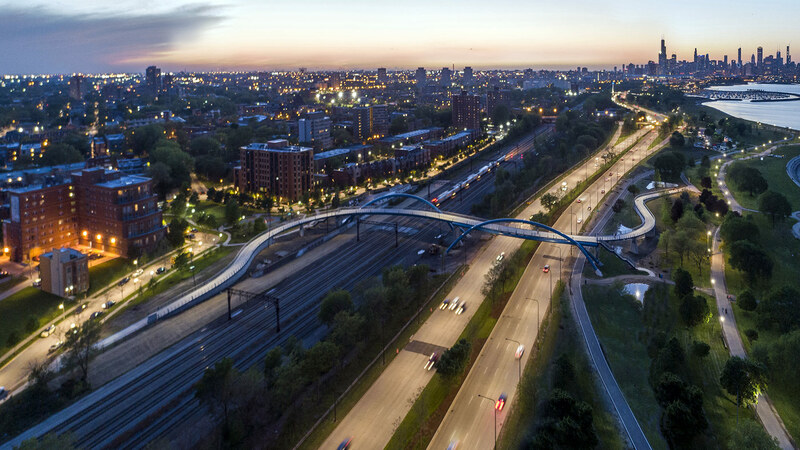 This indirect lighting highlights the curving silhouettes of the bridges and adds visual drama to the landscape at night. AECOM is the structural and civil engineer for these bridges.